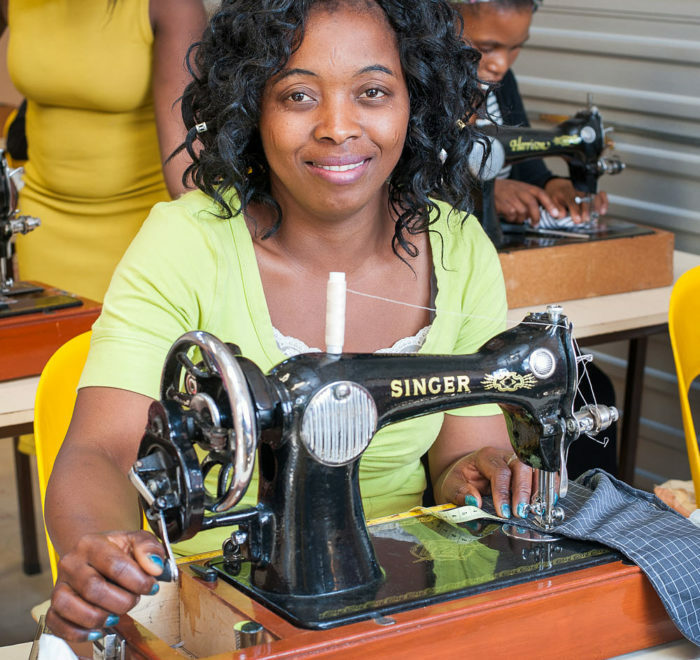 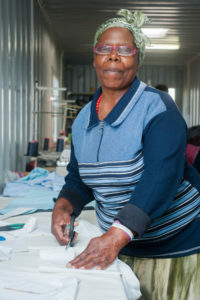 Embocraft’s sewing courses have proven to be very valuable to the communities. Not only are trainees provided with an opportunity for income generation, they learn a skill that is very practical and useful in their everyday lives. 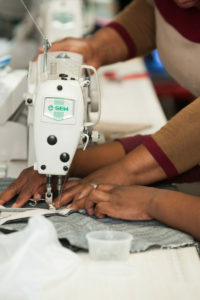 The sewing courses are product based and are taught using hand machines. 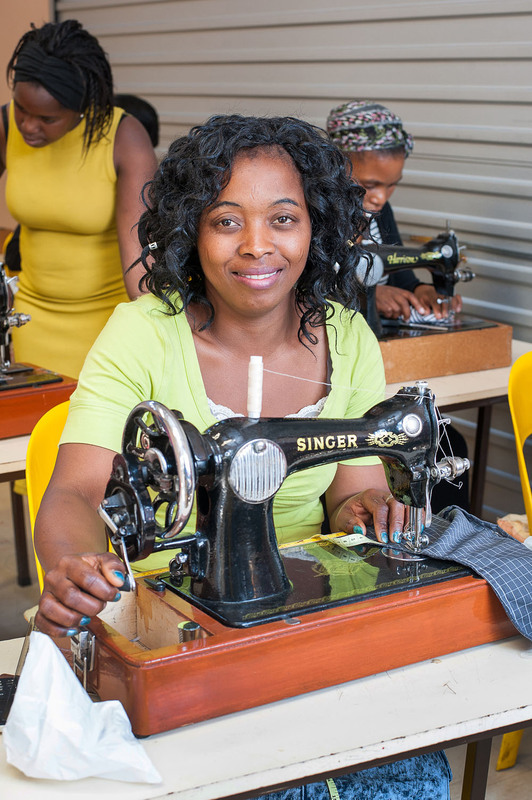 Trainees learn the basic principles of sewing through hands on experience and production of a variety of items. On completion of each course, participants receive a tool kit and portfolio, including: patterns, reference material and products made. 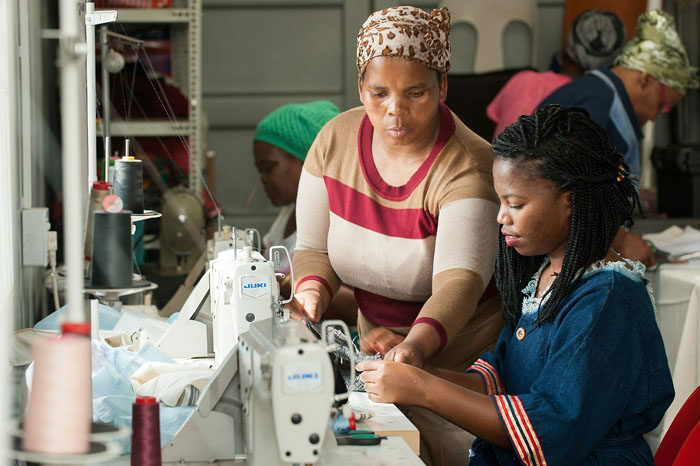 The 15-day Basic Sewing course is one of our most popular courses, trainees learn basic sewing skills through the production of home and kitchen accessories, bags and children’s’ clothes. 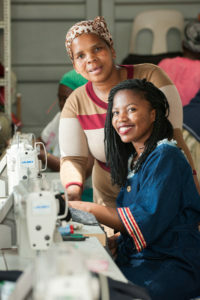 To encourage participants to reuse wastage a patchwork technique is also taught through the production of a waistcoat. 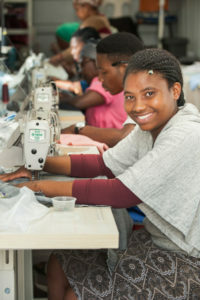 Basic machine maintenance, measuring and cutting from provided patterns is also introduced.